This month, Interweave is releasing a cool book about how to crochet socks: Step into Crochet by Rohn Strong. I was eager to review this book because the only socks I ever learned to make were knitted socks, and had no idea crochet socks could be so fashionable, interesting, and easy to make. 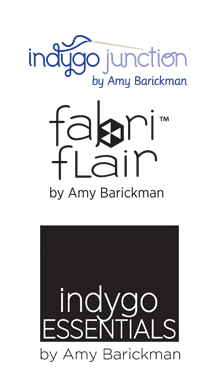 All photographs by Deana Travers for Interweave. Used with permission. "Step into Crochet" is a blend of reference guide and pattern book. The first four chapters walk you through everything you ever wanted to know about crocheting socks and were afraid to ask. From the precise measurement of the parts of the feet, to the best ways to construct a sock and most suitable stitches for comfort. The remaining chapters present patterns for simple, textured and cabled, colorwork, and lace socks. 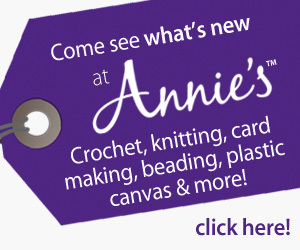 With over 200 designs under his belt, best selling books, and countless teaching hours, Rohn conveys his knowledge into easy-to-follow instructions, all the while explaining why opt for this method versus the other, why to avoid certain stitches, and how to customize patterns for a perfect fit. "North Hills Socks" have a beautiful texture, don't they? Cables on the cuff on the "Mordecai" socks. 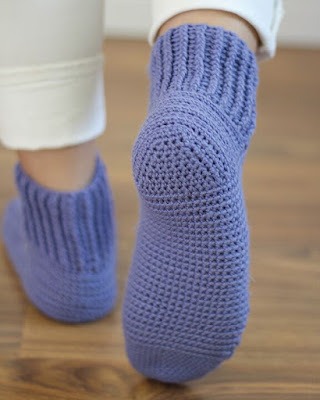 "Lake Lynn Socks" are a great example of simple but attractive colorwork in crochet socks. Notice how modern and fresh are Rohn's designs. These crochet socks would make great gifts for family and friends of any age! If this is your first foray into crochet socks (as it will be mine), you will appreciate all the details, tips, and expert advice. 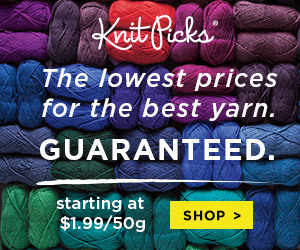 As a veteran crochet sock maker, you will love the new designs, the mix of techniques, and the choice of stitches for comfort and beauty. 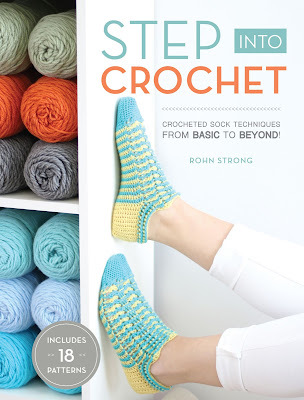 "Step into Crochet" would also make a great gift, so go get the hard copy (the eVersion is also available now)!